The QST Myriad 85 from Salomon is a fantastic ski for the athletic beginner to solid intermediate who wants a lightweight ski that offers support for difficult conditions. A Semi Sandwich Construction is made with a cap construction in the tip and tail with a vertical sidewall underfoot that makes for easier maneuvering, forgiveness and edge grip when you need it. Salomon's All-Terrain Rocker has a rockered tip for easy turn initiation, camber underfoot for added rebound and a slight amount of rocker in the tail for easy exits from turns. The Woodcore is reinforced by a Basalt layer that adds extra strength to the ski while keeping the weight at a minimum. Salomon's Pulse Pad has vibration dampening elastomers that absorb vibrations to give you a smooth ride down the mountain. The tip of the Myriad 85 has a Koroyd Insert that lowers the swingweight for easier maneuvering and fatigue free-skiing. 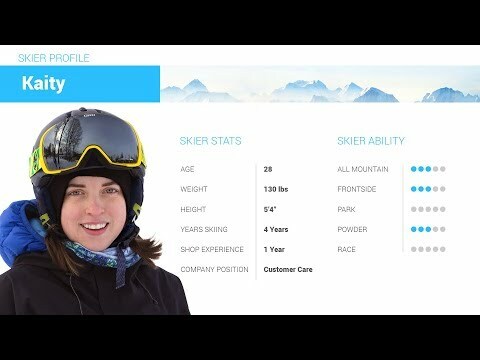 2019 Salomon QST Myriad 85 Ski Review by Katie . 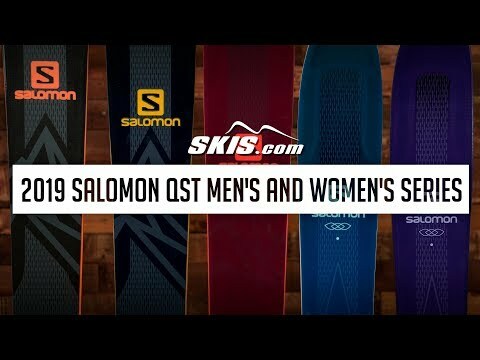 2019 Salomon QST Myriad 85 Ski Review by Jami. 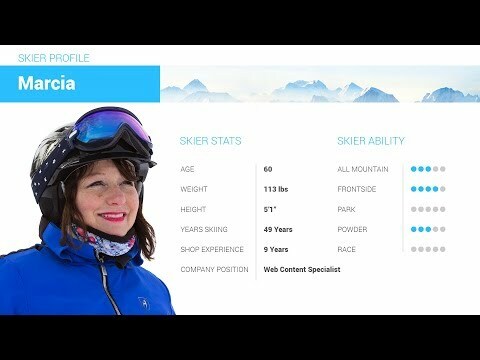 2019 Salomon QST Myriad 85 Ski Review by Marcia . A: Salomon Z10 bindings with a 90mm brake are compatible with this ski, but for optimum performance I would recommend the Salomon Warden 11.